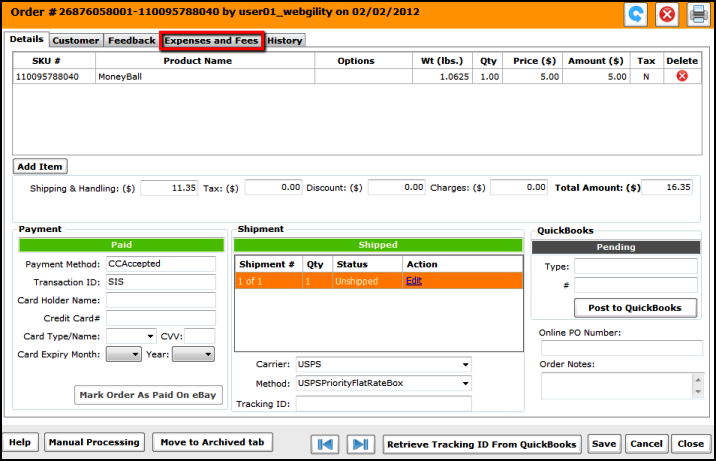 How do I view eBay expenses and fees in Unify Desktop? Once you enable the option to record Expenses and Fees, on double clicking an order, you will see an additional tab on your 'Order detail' screen showing your expenses. When you post to QuickBooks, the expenses and fees in the order will be recorded as a Bill or a check per your settings. You can post expenses and fees separately or they'll be posted along with the order when you post it to QuickBooks.